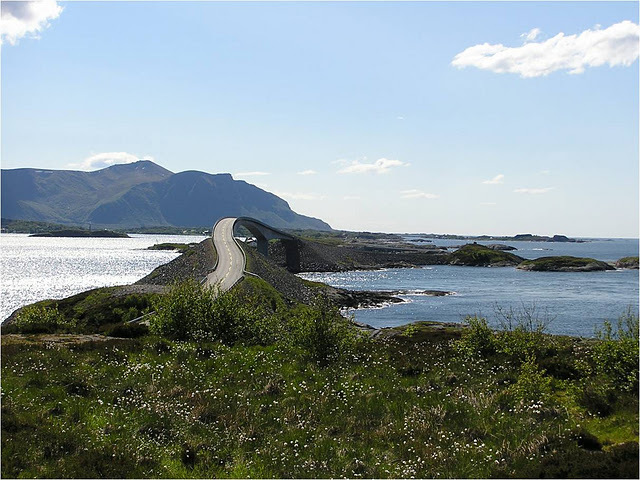 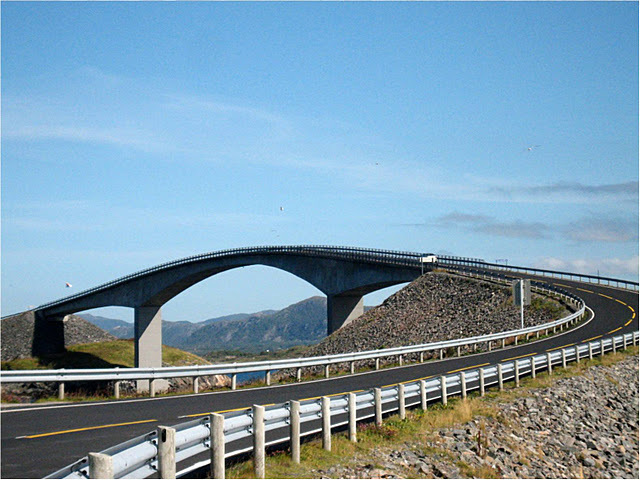 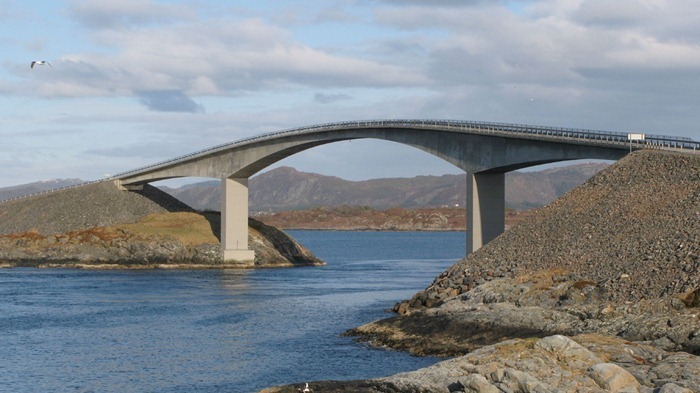 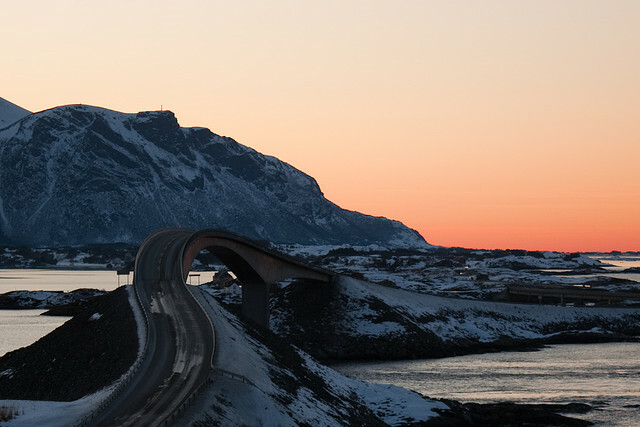 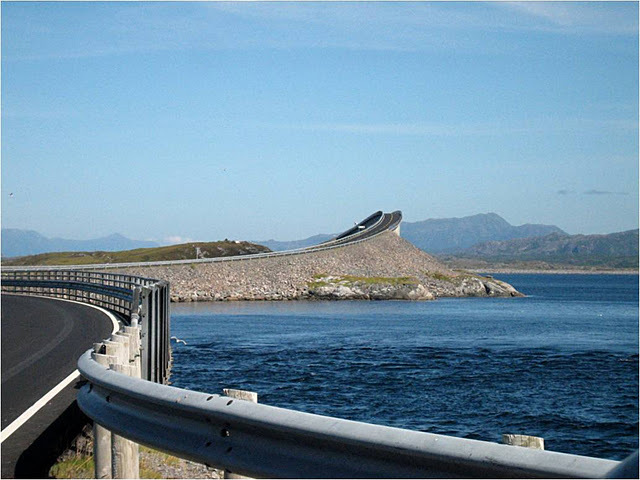 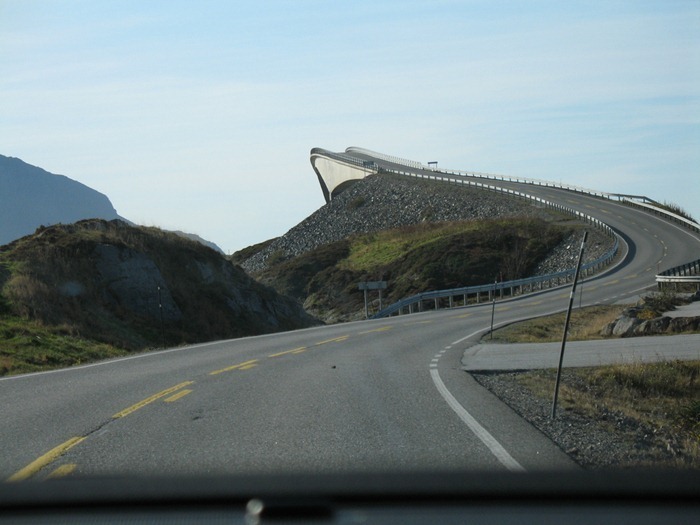 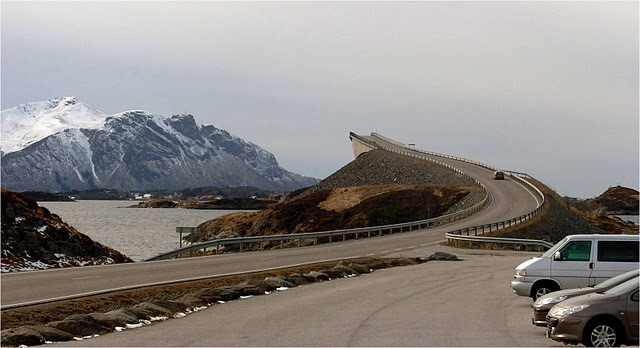 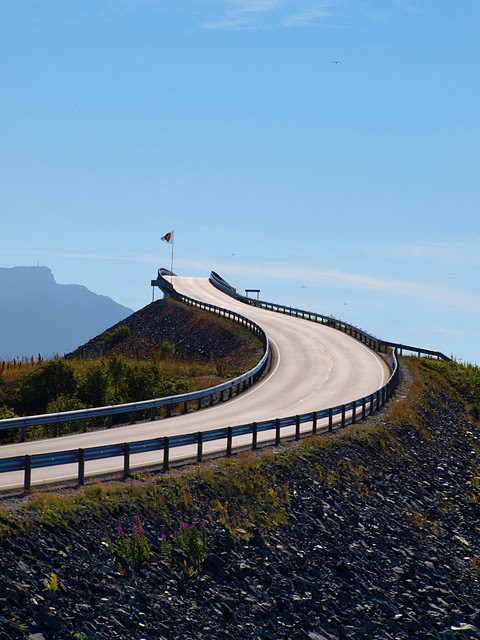 The Atlantic Road which connects Norway's mainland to the Island of Averøy is spanned by eight bridges of which Storseisundet is the longest and most spectacular. 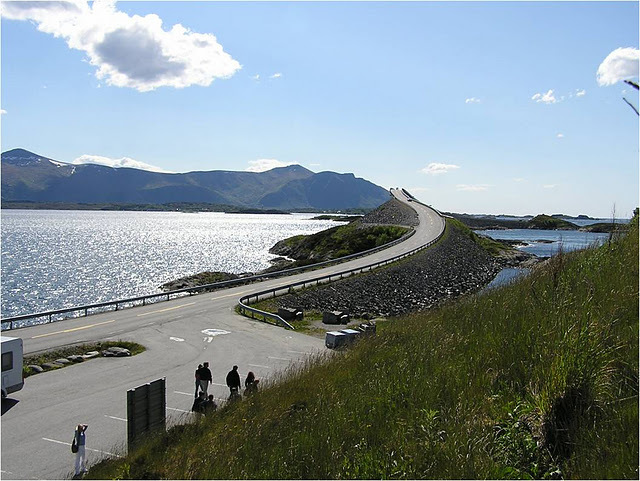 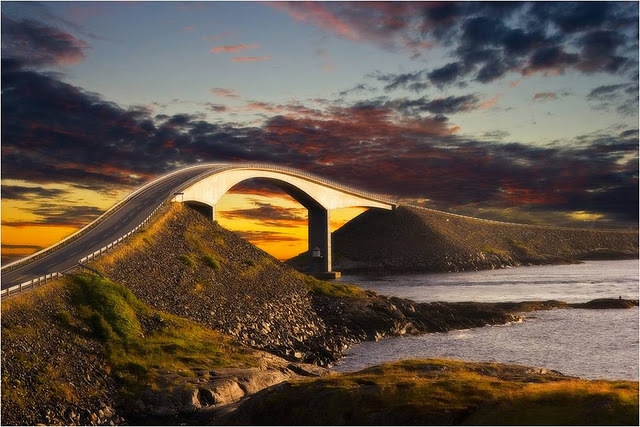 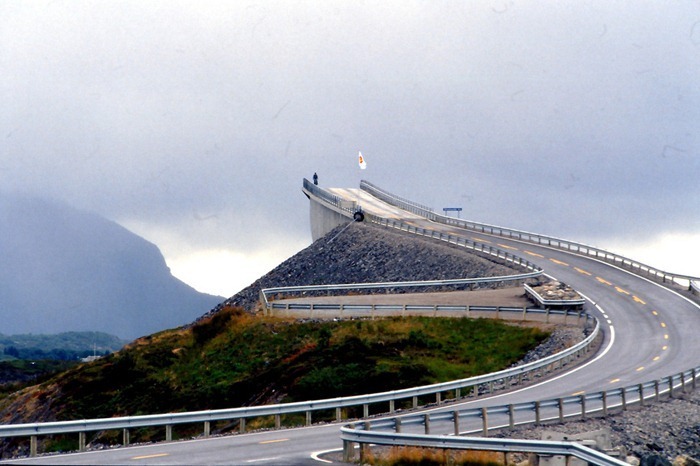 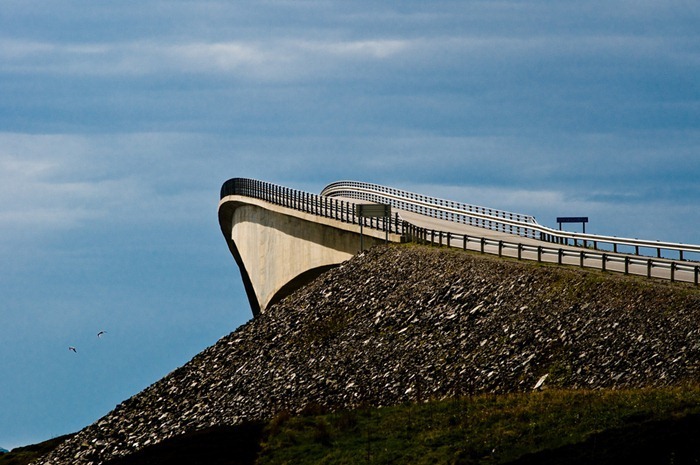 The Atlantic Ocean Road’s scenic route and the 260 meter long cantilevered Storseisundet Bridge has earned it the title of "Norwegian Construction of the Century" and is currently Norway's second most visited scenic road after Trollstigen. 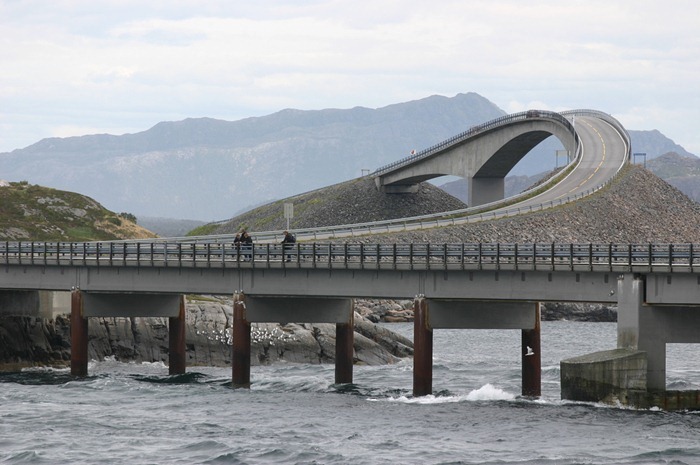 0 responses to "Storseisundet–The Bridge to Nowhere"